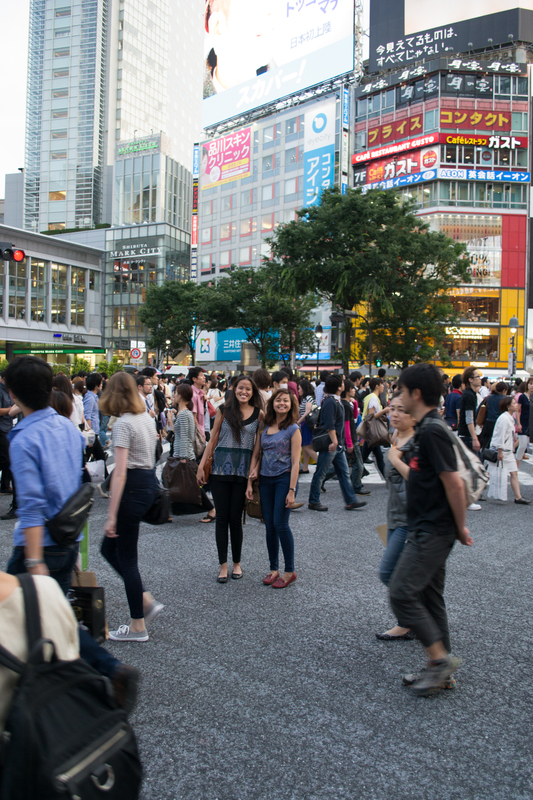 The Shibuya Crossing of Tokyo, Japan is an iconic landmark for special reasons. It is dubbed as ‘the busiest intersection in the world’. I’ve seen photos of hundreds (or probably thousands) of people crossing at the same time. When TV programs feature Tokyo, it is a must to include a clip of Japanese and foreigners crossing to effectively show how busy this part of Japan is. Being touristy in Tokyo is fun and I am not ashamed of it. 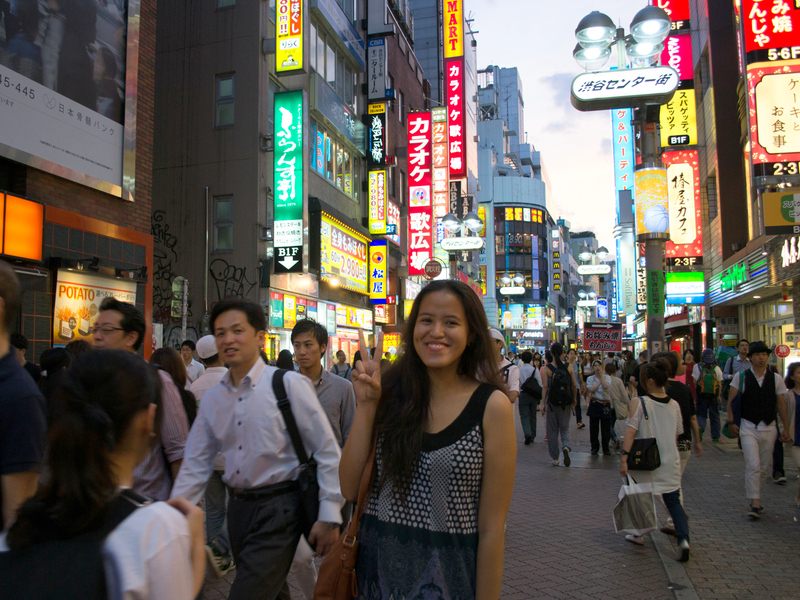 I think every visitor of Japan can attest on how unique this country is and you end up craving for more surprises. From Shibuya station (can’t remember which exit), I looked for a public toilet to pee. There’s this incident wherein I pressed the wrong button while on the loo. Instead of pressing ‘flush’, I pound the emergency alarm. I panicked and Ada was surprised. For less complications with buttons, do it on the floor! What’s with that alarm? When I told her the truth, we end up running out of the restroom. 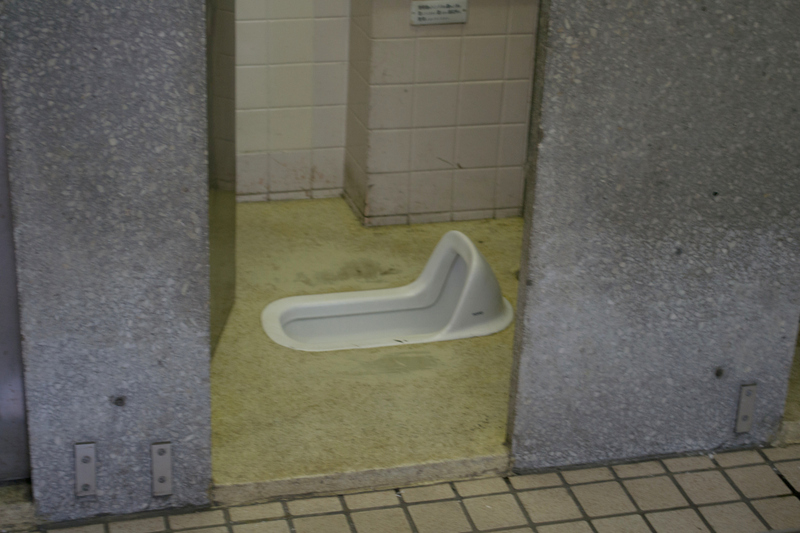 In less than a minute, a Japanese worker entered the public restroom and checked each cubicle for a trapped tourist. Luckily, I escaped and laughed like a little girl with the best friend. Josh, Ada and I pushed through with walking until we spotted this crowded intersection. The nearer we get to the iconic landmark, the more excited I am. You can already sense the hustle and bustle from afar. Never seen an intersection this busy! Crossing in the streets of Metro Manila is a challenge (and is deadly), but this one is just manic! Took photos and we spotted a bronze dog looking over the crowd. 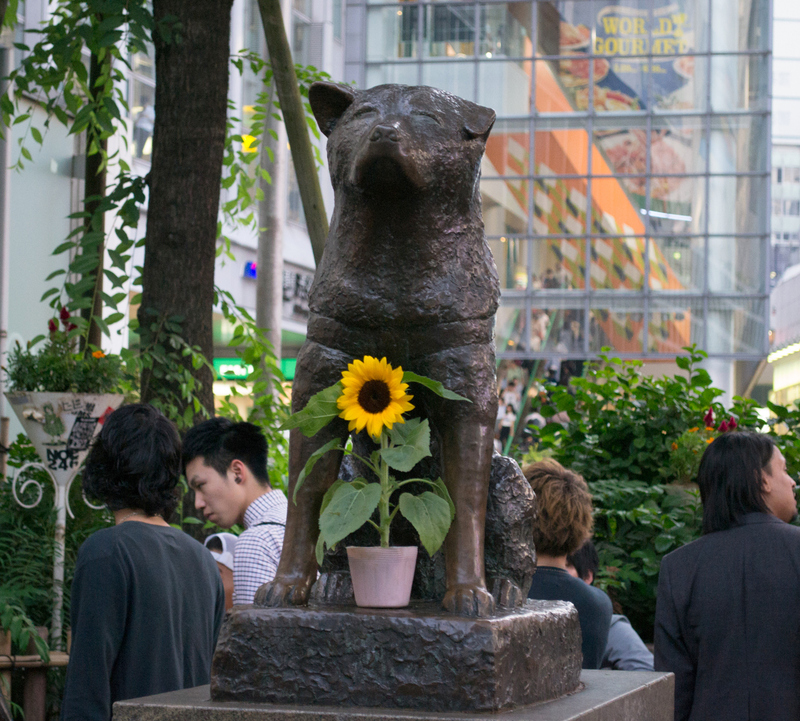 His name is Hachiko and most probably, you’ve heard about his inspiring story related to friendship and loyalty. I’m not a dog lover, but Hachiko’s story truly touched my heart. The obligatory Shibuya Crossing Tourist Photo. We could’ve done a jump shot, but it’s dangerous. 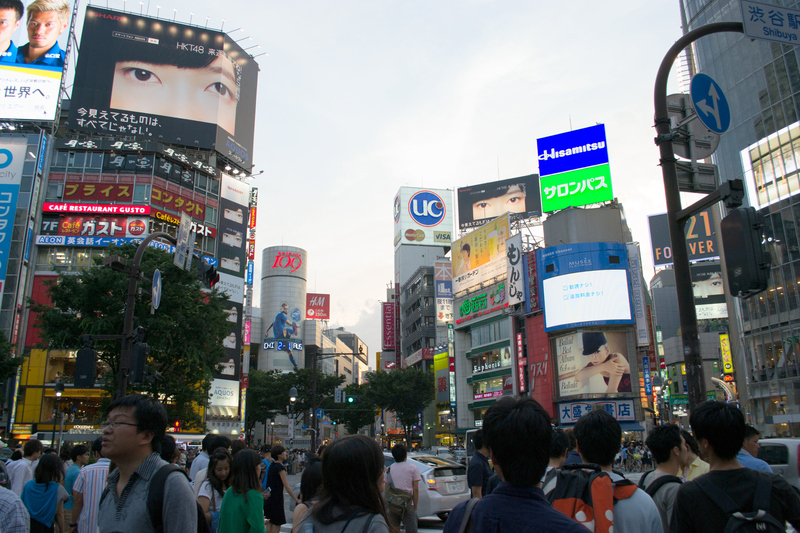 Shibuya is truly a busy place! Here are some videos I managed to record before and while crossing the busiest intersection in the world! 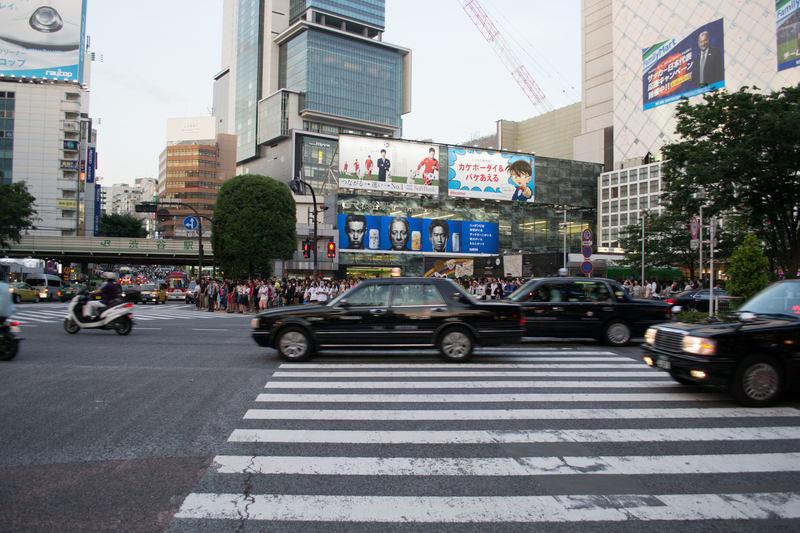 ^ Depicts the normal Shibuya Crossing scene. Since it’s almost dark, we grabbed the opportunity to stroll around the area and get hungry. 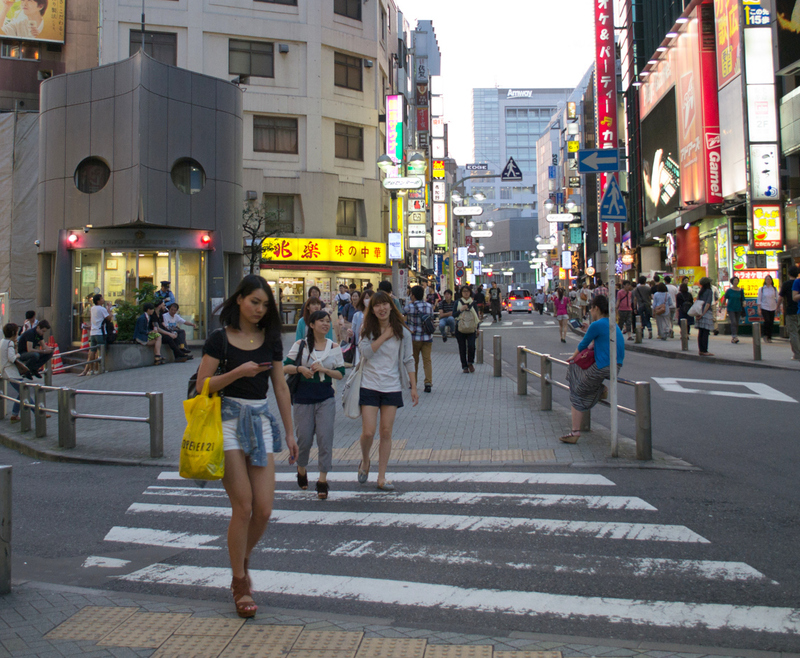 Shibuya depicts the vibrant city life of Tokyo. Watching people from different walks of life come in and out of the stores is visually entertaining too. 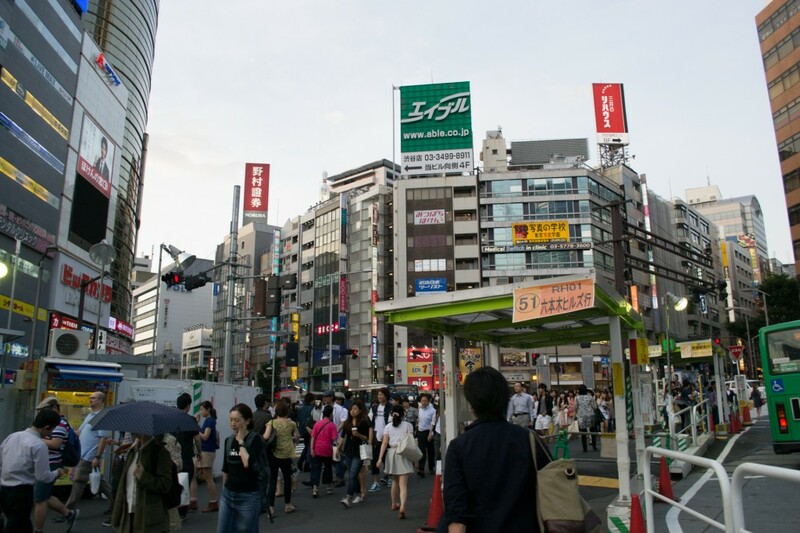 For shoppers, SHIBUYA 109 is a must visit place. There are hundreds of boutiques inside this eight-storey building. Male fashionistas will surely love 109 MEN’S. 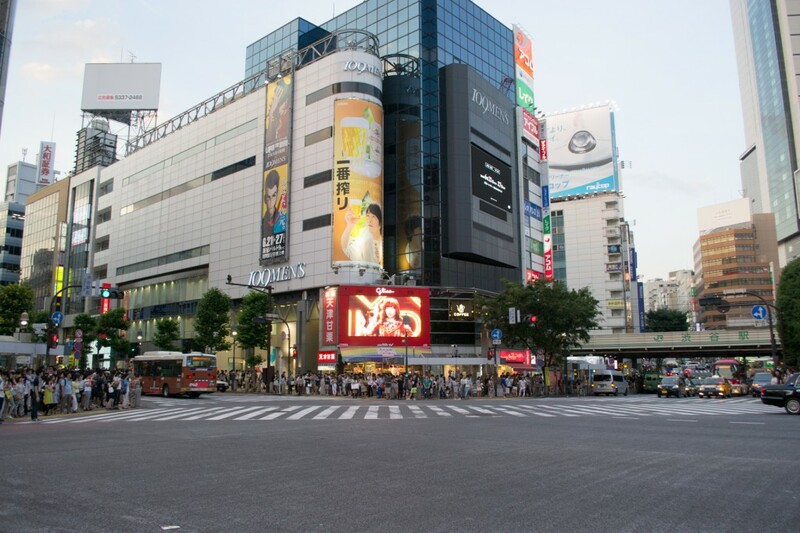 Shopping favorites such as H&M, UNIQLO, Forever 21, Matsumoto Kiyoshi and Tsutaya have outlets within the vicinity. 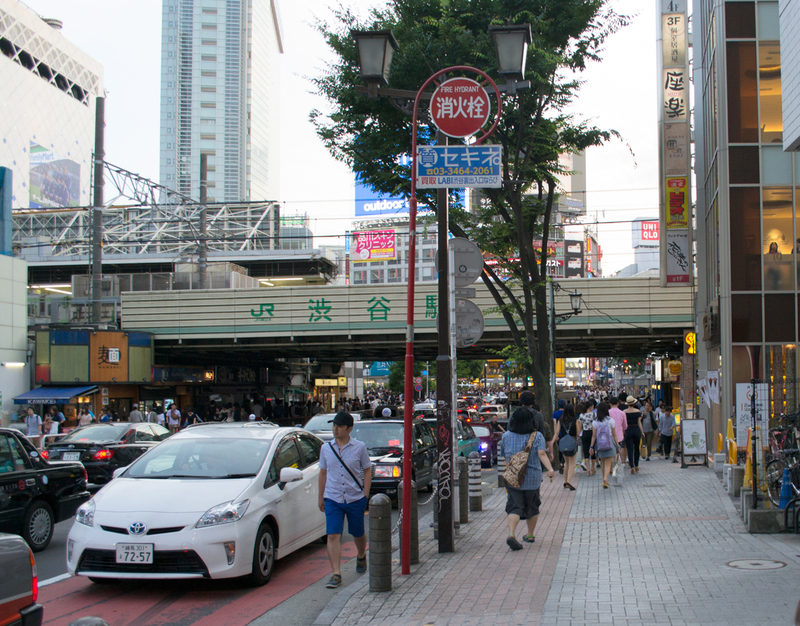 How to Get There via Train: Drop of the Shibuya Station and take the Hachiko Exit. Starbucks Shibuya offers the best view of the busy intersection. If you have the whole day to spend in Shibuya, consider visiting Bunkamura, Cerulean Tower Noh Theater, The Shoto Museum of Art and Nabeshima Shoto Park. UP NEXT: The Colorful Harajuku Lane! In just a snap, they all disappear! =)) can’t wait to go back! Nice pics. That’s amazing! You must have had such a wonderful time. thanks for posting nice views. I’m not a dog lover either but I cried like crazy when I watched the movie. Can’t wait to visit Japan. Ada looks great! MISS KO NA SI ADA GANDA HUHUHUHU. Miss na rin kita kahit nung Last May lang tayo nagkita. Teka, tagal na nun ah! HAHAHA. Soon, Japan. SOON! Matagal na ang May! (at hindi ko pa na-blog lahat ng dapat i-blog lol). Dapat magsama na tayo ulit sa trip soon!